This is the ultimate guide to WooCommerce for photographers. WooCommerce offers some fantastic opportunities to sell photos online, whether this is to the general public or specific clients. I’ll walk you through the best WooCommerce photography plugins, WooCommerce gallery plugins and WooCommerce gallery plugins, as well as provide tips on how to sell more photos on your WordPress website. Not all photographers want to sell their images to the general public. If you provide bespoke photography services, you’ll want to sell photos in secure areas of your website that only certain clients can access. Fortunately, WooCommerce for photographers is straightforward. And if you’re not a photographer, don’t worry! These solutions are suitable for anyone wanting to create client-specific products or categories in WooCommerce. Why should a photographer use WordPress & WooCommerce? Why sell client-specific products in WooCommerce? WooCommerce & WordPress for Photographers: how useful is it? There a huge number of WooCommerce gallery plugins, WooCommerce gallery plugins and other miscellaneous plugins for photographers. A huge number already have WordPress websites. It’s hardly surprising given that WordPress powers over 1/4 of all websites. A huge number of WordPress photography themes and plugins are available. This makes WP for photographers easy: you can create professional websites using flexible, off-the-shelf solutions. WooCommerce is the world’s biggest e-commerce platform. As well as powering a huge 94.3% of all WordPress e-commerce websites, it’s used by over 41% of all e-commerce sites worldwide. Wow. While popularity isn’t everything, WooCommerce is obviously here to stay. It’s well supported with a huge ecosystem of Woo experts behind it. With so many plugins and add-ons available, there are plenty of options for selling client-specific products in WooCommerce. Not to mention all the other great plugins and features for displaying photos in WooCommerce. 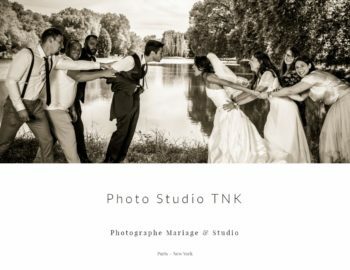 Photo Studio TNK is a WooCommerce for photographers website run by Thierry in Paris, France. His clients book him for photoshoots, he then sells the prints to them on his WooCommerce website. Selling prints is a big part of his business, so Thierry’s clients each need access to a private space where they can view and purchase their photos. That’s why Thierry’s WooCommerce website is powered by our WooCommerce Protected Categories and WooCommerce Product Table plugins. This is how it works. After a photoshoot, Thierry uploads the images into the client’s hidden WC category. The client is sent a password. They log on to their hidden area to view the images. Each image is displayed in one table than can be filtered. Clients can view images, select variations and add multiple photos to the cart, all from this one table. It works well for customers as they can view the images on their mobile or laptop and they don’t need to leave the page to purchase their chosen images. You can read more about Thierry’s WooCommerce photography website here. Or read on to find out more about how to make WooCommerce gallery plugins work for your photography business. Wedding photographers take photos of a specific event such as a wedding. Afterwards, they need to upload the photos of the event for the couple to view. A wedding photographer will typically charge a fixed fee for the event itself, with perhaps a photo album included in the price. They may earn extra revenue from the wedding by selling extra options to the couple and their guests. For example, the photos can be bought individually (either as photo prints with different framing options, or as digital prints for download) via the photographer’s website. The photographer might also sell packages via their website, such as additional albums or photo montages. The images must be uploaded to a secure area of the WooCommerce photography website that only the couple – and possibly their guests – can access. People with access to the photos should be able to buy them online. A family photographer is similar to a wedding or event photographer in that they’re commissioned to do a photoshoot of a specific family. They might do the photoshoot for free, with the family just paying for the photos they actually want. After the photoshoot, the photos need uploading to a private area on their website. The family can login, choose their photos and buy online. School photographers take individual and class photos of school children. After visiting the school (which they typically won’t charge for), they earn money by selling the photos to parents. The same often happens in nurseries, pre-schools and kindergardens. Traditionally, school photographers would print a preview of each photo which the school would distribute to parents. This still happens, but parents are typically directed to the school photographer’s website where they can view all the images of the class and buy online. The website often sells many options such as different packs and framing choices, and even other objects printed with the photo (e.g. mugs or mouse mats). Given the confidentiality around photos of children, it’s important that school photography is uploaded to a secure area. 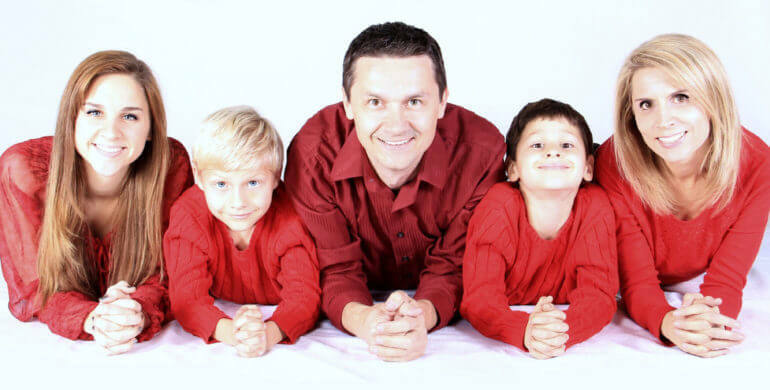 Only the individual parents – or perhaps the parents for the whole class – can access the photos. There’s an excellent plugin to sell client-specific products to photography clients. It involves creating hidden areas of your WordPress WooCommerce website that only the appropriate client can access. It does this by password protecting a category so that only people with the correct password can view and buy the hidden photos. You don’t have to spend time creating a separate user login for each client. 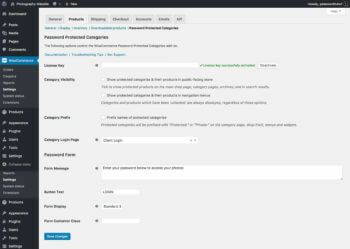 WooCommerce Password Protected Categories is the easiest plugin to sell client-specific products on a WooCommerce photography website. To use the plugin, photographers can create a separate product category for each client in WooCommerce. You can then upload all the photos for that client to the relevant category. For regular clients, you can create sub-categories – one for each event or photoshoot. Start selling your photos online today! Create a WordPress website with WooCommerce and WooCommerce Password Protected Categories installed. In Pages > Add New, create a page called ‘Client Login’ (or similar). Leave this blank and Publish the page. 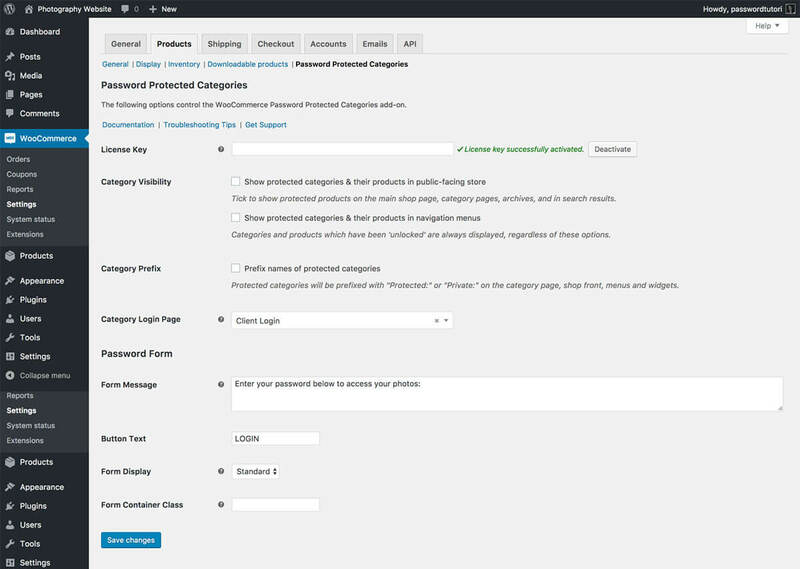 Go to WooCommerce > Settings > Products > Password Protected Categories. De-select the options to show protected categories and products in the public areas of the site. This will hide your client-specific products so no one else will know they exist. Change any other settings as needed, for example to customise the text on the WooCommerce category login form. Finally, go to Appearance Menus and add your Client Login page to the menu. Or if you prefer, link to this page from the header, footer or anywhere else on your site. (Or just keep it hidden from your public website and send the link to your clients.) You can also add a login form to a text widget using the shortcode: [category_login]. That’s all you need to do to sell client-specific products and categories for a WooCommerce photography website. When a client visits your website, they can click on the ‘Client login’ link to view the login page. On entering the correct password, they will be automatically directed to their own category. They won’t be able to see your other clients’ categories – just their own. The plugin is simple but secure. 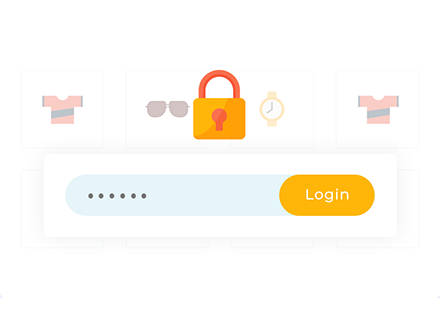 Visitors will be prompted for a password whether they try to access the login page, the category page, a sub-category or a specific product page. Once they’ve unlocked their client-specific category, they can navigate anywhere within that category without having to re-enter the password. It’s the perfect way for any photographer to securely sell customer-specific products in WooCommerce. So far, you’ve discovered an easy way for photographers to use WooCommerce to sell photos to specific clients. Then some tips on how photographers can use WooCommerce more effectively. Standard products. This is a traditional ‘physical’ product which you will ship to the customer. With this product type, you can add postage costs. Downloadable products. You can also use WooCommerce to sell downloadable products. These don’t have a shipping cost. When you create a downloadable product, you can upload the digital image file of the photo. Once a client has purchased the digital version of a photo, they will be given access to a secure link where they can download it. By combining simple and downloadable products, you can design a WooCommerce photography website where you can sell photo prints and digital versions. If you only want to sell one of these product types (e.g. some photographers refuse to sell digital versions of their photos), that’s fine too! WooCommerce photography websites often need to sell products with several options. For example, you might sell a photo print in multiple sizes. You might offer a choice of framing options. You could offer different file formats for your photos. Use variable products in WooCommerce to add extra options. Customers can select the combination of variations they need and see the updated price before adding photos to the cart. If you need extra flexibility (e.g. 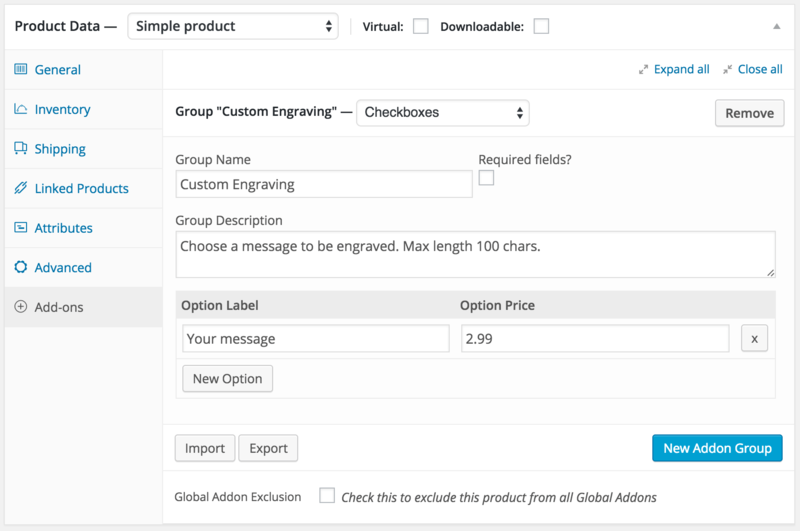 multi-select checkboxes or space for the customer to add a personal message), then you can use the WooCommerce Product Add-Ons plugin instead. The add-on options will appear in the add to cart column of your product table. Customers can select them before adding to the cart. Most themes have a fairly typical WooCommerce category layout, which may or may not be suitable for selling client-specific photography products. This tends to have big images with the product name, price and add to cart button. The usual layout is pretty good on most WooCommerce for photographers websites due to the big images. However, it’s less appropriate for selling photography products that aren’t so visual. For example, a product category for framing options and photo bundles may not need big images. Instead, you might prefer to list as many products per possible, with extra information to make it easy to compare products such as size and colour. If that applies to any of your products then WooCommerce Product Table offers a better photo gallery layout. It lists products in a searchable, sortable table or grid with filters. You can make the product images as big or as small as you like (or hide them completely). This is better for less visual products such as frames or bundles, where you just want to list the options on a single page. You can even use it as a one-page order form, where customers can select variations, quantities and add to cart directly from the product table. There are lots of ways to use product tables to increase your conversion rates and get more sales. Create a better photo gallery layout now! WooCommerce Product Table is fully compatible with the Password Protected Categories plugin that I told you about earlier. To use the two plugins together, you just need to follow these instructions to automatically add the product table layout to your category archive template file. When your photography clients log into their hidden password protected category, they will see their photos presented in a product table layout. WooCommerce gallery plugin: Check out our separate tutorial on selling more photos with a WooCommerce gallery layout. Show extra photos and purchase details in a quick view lightbox. WooCommerce Product Table is ideal for listing photography products. However, the size constraints of the image column mean that it can only show one static image of each product. Choose ‘Image Only’ layout to create a WooCommerce product gallery lightbox. You can show extra images by adding the WooCommerce Quick View Pro plugin. This handy plugin displays the full image gallery for each product, and customers can scroll between images by clicking on the thumbnails or using navigation bullets. You can hover over an image to zoom in on it, showcasing your photos in full high definition that will inspire people to buy them. The quick view plugin is very flexible and you can choose which style of photo gallery to show, and whether to include images only or whether to add extra product data and purchase options. It’s the perfect way to provide further information and show off your photography more effectively without taking people to a separate page for each product. Photographers can further monetise their WooCommerce website by selling personalised products. For example, you might want to sell photo prints in an engraved frame, or print an image onto a T-shirt with some custom text. You can collect information for personalised WooCommerce products using the Product Add-Ons plugin. This WooCommerce extension adds extra fields to the product page where clients can add text or other information relating to their order. Since publishing this tutorial, lots of you have asked how to bulk import photos to sell in WooCommerce for photographers. For example, a photographer might want to upload an entire photoshoot to their website and sell each image as a separate product. It would take too long to do this manually, so you need a WooCommerce import plugin or WooCommerce gallery plugin that can import simple, variable and downloadable products. Get the plugin and install it on your WooCommerce site. If you want to create a lower resolution version of each photo to use as the main product image, upload these too. Next, prepare a CSV file containing the product data that you wish to import. The easiest way to create a CSV file is to use spreadsheet software such as Microsoft Excel or Numbers. When you’ve finished, use the Save As or Export option to save the file as CSV. Add all the product data using the column headers in the import plugin documentation. If you’re selling photos as downloadable products, use this section of the documentation to add the downloadable product data to the CSV file. This includes downloadable file URL (this will be the URL of the photo that you uploaded via FTP), download limit and expiry. When the CSV file is complete, upload it using the Product CSV Import Suite plugin. This will automatically import your photos as WooCommerce products, so you can start selling them. Preparing your CSV file sounds a bit daunting. Stick with it, as the documentation is excellent and covers everything you need to know. WooCommerce.com also provide excellent live chat support to help with any problems. Once you’ve created your first CSV file, it will be much easier next time. Feed Them Gallery is a WooCommerce gallery plugin designed for photographers and other image professionals. It provides a ridiculously easy way for photographers to mass upload photos to the Media Library and convert them into WooCommerce products. You can then display them using WooCommerce Product Table by following the instructions earlier in this tutorial. Install and activate Feed Them Gallery. On the Gallery Settings, you’ll see a ‘WooCommerce’ tab. Click on this and follow the instructions on this page to convert each photo from the gallery into a separate WooCommerce product. Use the instructions above to list your WooCommerce photo products in a product table, complete with filters, buy buttons – everything you need to sell photos online. 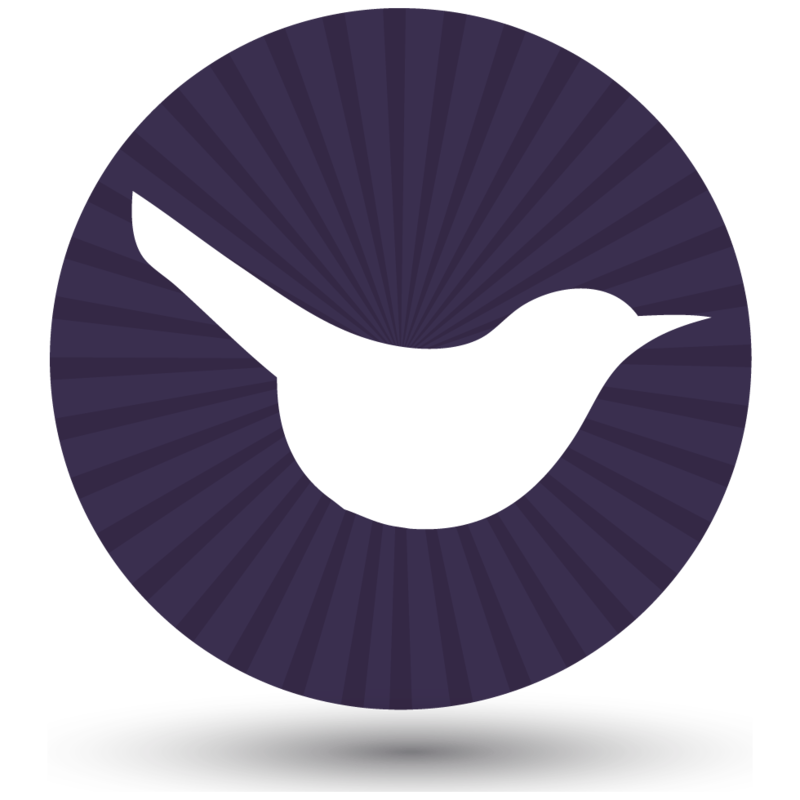 WooCommerce for photographers – time to create your website! I hope this guide has helped you to choose the best WooCommerce photography plugins or WooCommerce gallery plugin for your WordPress website. I’d love to hear how you get on. How to sell private photos products to each photography customer with the WooCommerce Protected Categories plugin. The best way to list photo products with WooCommerce Product Table. How to show extra photos and information with WooCommerce Quick View Pro. A quick way to upload photo products with Feed Them Gallery. Which are the best plugins on WordPress and WooCommerce for photographers in your opinion – are there any I’ve missed? Please add your comments below. Start securely selling your photos online now! Thanks for the post. I was facing some issue with use of image over my website that has been resolved by using the plugin Table Weight Shipping as you suggested. Thank you so much such suggestive post. I'm a tour operator arranging northern lights tours. I need a solution easily upload the photos from the tour, make a product like "Northern Lights Tour 9.1.2018" and connect photos for this tour. Everyone who has joined our tour are able to see thumbnails or something not good quality photos but after paying they are able to download every photo. What would the best solution for this? Hi Matti, you can do this by following the instructions in this tutorial. Pretty much everything in it should be relevant to you, based on the information you have provided. After each tour, use the WooCommerce Protected Categories plugin to create a password protected category for the tour. Use the Feed Them Gallery plugin to quickly upload all the photos as separate products. The featured image for each product should be a low quality version. 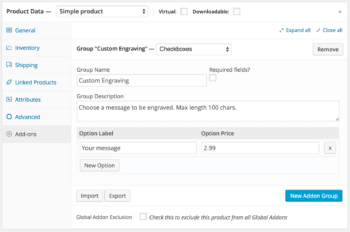 Choose the 'Downloadable' product type in WooCommerce for each product, and add the full size version as the downloadable file that customers will receive a link to download after they make the purchase. Finally, email the password for the protected category to everyone who went on the tour so that they can login and buy the photos. If you have any further questions about how it will work for your exact use case, you're welcome to email us at support@barn2.co.uk. The one answer I can't seem to find is digital package options. We sell portraits by the pose per group. We need to be able to have a collection of images and offer one pose as a set and additional poses at a discount. (1 pose $85, 2 poses $150 so $75 each or could be $85 + $65) We also sell other photos as a sequence (1 imamge $40, 2 $45, 3 or more $50. Is this something woocomerce photography can do? I see all the options for adding various print sizes and add-ons, which is wonderful, but the main reason for looking into another site is to sell digital packages more easily. I imagine we would need to load images into separate galleries/folders and possibly by the pose or sequence. Is this something that can be done after bulk uploading multiple shoots, or would they have to be loaded as sets into galleries when uploaded? Hi Brian, it sounds like you need a way of offering product groups or bundles so that people can buy different combinations. WooCommerce.com offer several extensions that let you do this in various ways, and they're provided a helpful comparison article to help you choose which works best for the combinations you need. You then need to install the WooCommerce Product Table plugin to list the photo products in a table (as described in this tutorial). It's not possible to list things like product bundles or groups directly in the product table because this would take up too much space in your list of photos, so you would also need our WooCommerce Quick View Pro plugin to add a 'Quick View' buttons (which you could rename to 'Build My Collection' or whatever you like) so that people can view the group/bundle options and order them from a quick view lightbox. That should do everything you need, and the most important decision is how you choose to bundle the poses to create different collections. Thank you so much for your quick reply. The link with the comparison is really helpful. I had not seen that. I think it describes exactly what I need. I have a question about woocommerce, I am a photographer and I would like my photos could be sold from the gallery page, without having to go to the shop page, when you open the photo, there is a button that says buy, a window will open where open the size options, ect when the user selects their needs, there is a other button that puts buy and the same page redirects you to the paypal page, I saw this on a website and I liked it a lot, I read and searched for a wordpress theme, only found one but I did not like the theme very much, my question is if with the woocomerce plugin I will have the tool to develop this. I leave a link to a page where you can see what I mean. I can't see any size options etc. on the Portfolio Natural site, but you can achieve something similar to what you have described by adding our WooCommerce Quick View Pro plugin to WooCommerce. You would need to customize your shop page to make it look like a gallery, or use our WooCommerce Product Table plugin to list your images in a table layout like the screenshots in this tutorial. Alternatively, you could hire a developer to create a custom gallery template that looks like the one on Portfolio Natural and where you can click on the images to open up the quick view popup (which would be provided by the WooCommerce Quick View Pro plugin).